MADISON-Isabelle C. (Muskat) Anderson Berg, age 89, died on October 19, 2018, at Agrace HospiceCare following a prolonged illness. She was born on April 12, 1929, in the town of Middleton to I. Leo and Mary E. (Brunner) Muskat. 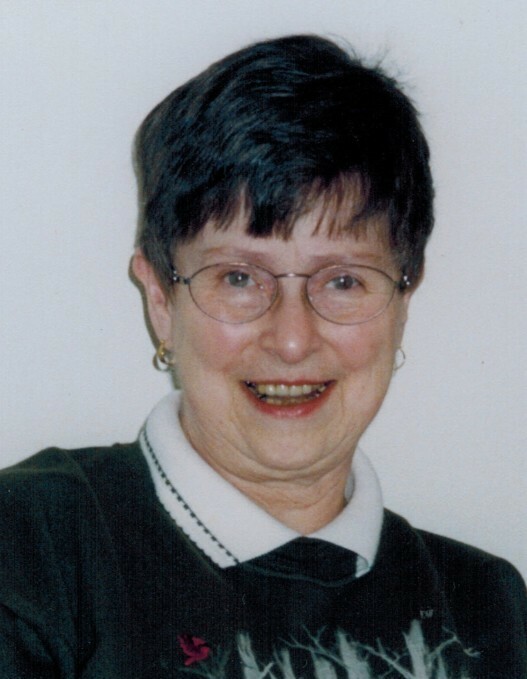 After graduating from Blessed Sacrament Grade School, she attended Edgewood High School and graduated in 1947. In 1949, she received an A.A. degree from Edgewood College. On April 15, 1950, she married David J. Anderson, who preceded her in death in 1958. She was employed in the office of the Kroger Company from 1949-63 after which she worked for Unisys (formerly Burroughs Corporation) from 1964 until her retirement in 1989. She was briefly survived by her brother, Ralph J. Muskat, who passed away one day later on October 20, 2018. She is survived by her brother-in-law, Ross Warne; her sister-in-law, Dona (Lund) Muskat and several cousins, nieces, and nephews. She was preceded in death by her husband, John L. Berg, whom she married on May 26, 1962; her parents; an infant brother, Raphael; her brothers and sister, Gregory F. Muskat, Mary G. Warne, and Roger A. Muskat; her sisters-in-law, Mary (Barger) Muskat and Donna Jean (O’Connor) Muskat; and a nephew, Daniel J. Muskat. A Mass of Christian Burial will be held at Our Lady Queen of Peace Catholic Church, 401 S Owen Dr., Madison, at 11:00 AM on Saturday, November 17, 2018, with Monsignor Kenneth Fiedler presiding. Burial will follow immediately at Resurrection Cemetery in Madison. Relatives and friends may greet the family at the Church from 10:00 AM until the time of Mass. The family would like to thank Agrace HospiceCare for their loving care and support. Memorials may be made to the Catholic Multicultural Center, 1862 Beld St, Madison, WI 53713.